2015 has been terrible so far when it comes to films starring rank newcomers. While almost all of them have failed to see even a 1 crore opening on Day One, the only film which saw some sort of footfalls was Khamoshiyan, which brought in 1.9 crore on its first Friday. As a matter of fact, even that film had an actor (Ali Fazal) who had been seen in a few films before, though Sapna Pabbi and Gurmeet Choudhary were absolutely fresh. Another newcomer affair was Second Hand Husband which was the launchpad of Gippy Grewal and Tina Ahuja. However, the film was a dismal failure with an opening day of 60 lakhs. Between the two films, Khamoshiyan went on to have the weekend collections of 6.5 crore. Now it is expected that Hero, the newest film with debutants Sooraj Pancholi and Athiya Shetty, would manage to achieve this total on the opening Friday itself. The film has benefitted massively from Brand Salman Khan. He has promoted this production of his with complete conviction while still making sure that his presence doesn’t overshadow Sooraj and Athiya. That said, even though there is recall value of Hero, it isn’t like, say, a Don which has remained popular even decades after release. 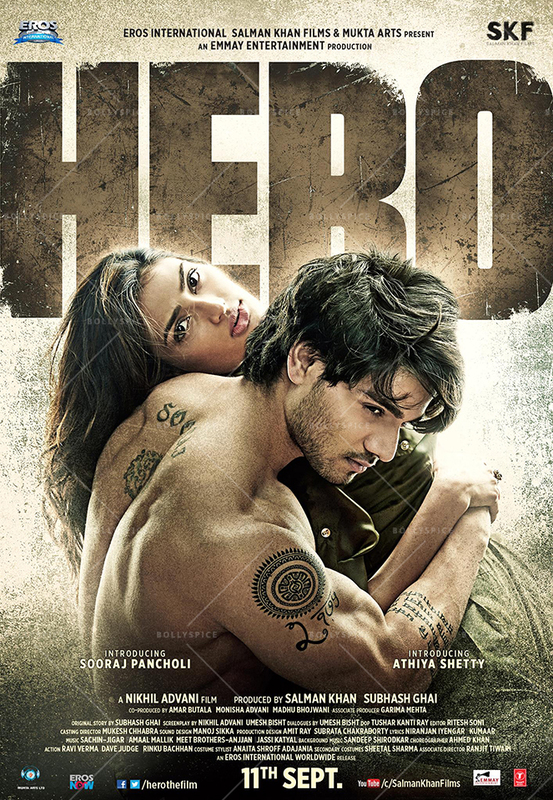 While director Nikhil Advani has given the film a contemporary touch, it has to be seen how much of the remake factor really helps Hero, and whether audience would actually see it as a standalone film. Good hype has been created for the film by the producers, though one can’t expect audience to go berserk from the very first show itself. The Eros film is expected to rise gradually with every passing show and while the awareness factor would help it gain a decent opening, the true content would eventually do the talking by the time Friday is through. All in all, a healthy first day is expected and the long run would be decided only after the weekend. 16 queries in 1.308 seconds.